While mummy brown bear is fishing for salmon at Brooks Falls, she has sent three little bears up the tree for safety. They will only come down again when she tells them to do so. Male brown bears are in fact a deadly danger. 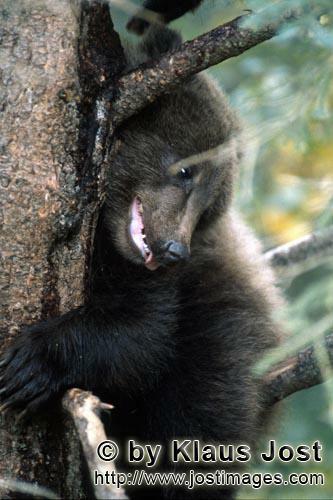 But they are not able to climb up a tree, only the little bears can do that.